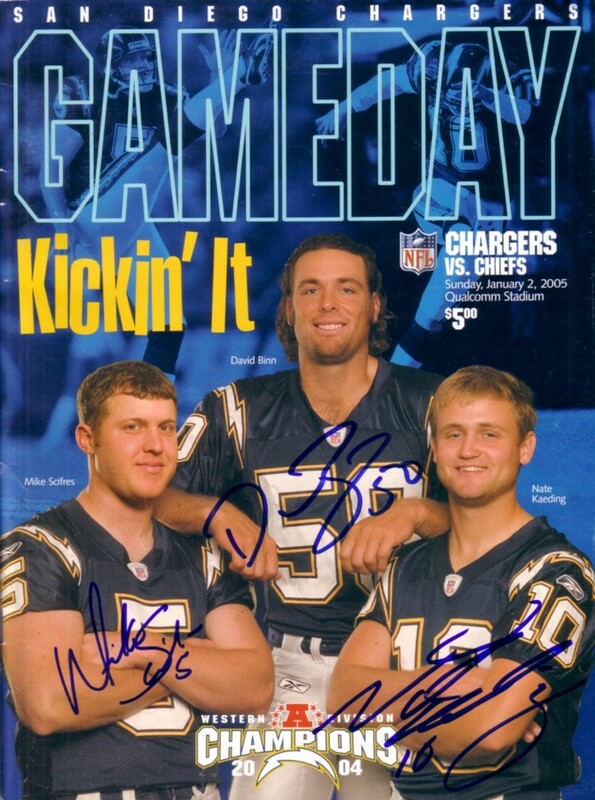 Jan. 2 2005 San Diego Chargers vs. Kansas City Chiefs game program autographed on the cover by placekicker Nate Kaeding, long snapper David Binn and punter Mike Scifres. Has minor flaws and wear. ONLY ONE AVAILABLE FOR SALE. With certificate of authenticity from AutographsForSale.com.